Mary Ellen Macdonald is a medical anthropologist with postdoctoral training in Pediatric Palliative Care. Her current research interests focus on bereavement, Medical Assistance in Dying (MAID), and the compassionate communities movement. Recently, she has been working with colleagues on an ethnographic study of end-of-life care in Inuit communities in Nunavik, Northern Quebec, an ethical analysis of MAID legislation for mature minors, and a sociocultural study of memorial tattoos. She is also currently involved in research on the oral health of vulnerable populations, health professions education research, and research involving cultural aspects of health and illness with Indigenous communities in Canada. Belanger E, Towers A, Tradounsky G, Wright D, Macdonald ME. Of dilemmas and tensions: A qualitative study of palliative care physicians’ positions regarding voluntary active euthanasia in Quebec, Canada. Journal of Medical Ethics (online first). Wright DK, Brajtman S, Macdonald ME. Relational ethics of delirium care: Findings from a hospice ethnography. Nursing Inquiry, 2018, 25:e12234. Chan LS, Macdonald ME, Carnevale FA, Cohen SR. 'I'm only dealing with the acute issues': How medical ward 'busyness' constrains care of the dying. Health 2017, 22:451-68. Hordyk, SR, Macdonald ME, Brassard P. End-of-life care in Nunavik, Quebec: Inuit experiences, current realities, and ways forward. Journal of Palliative Medicine 2017,20(6):647-655. Hordyk SR, Macdonald ME, Brassard P. Inuit interpreters engaged in end-of-life care in Nunavik, Northern Quebec. Journal of Circumpolar Health 2017, 76(1): 1291868. Bracken-Roche D, Bell E, Macdonald ME, Racine E. The concept of 'vulnerability' in research ethics: An in-depth analysis of policies and guidelines. Health Research Policy and Systems 2017,15(1):8. Affleck W, Fiasse G, Macdonald ME. Narrative, life-trauma, and self-interpretation: Using Ricœur’s Petite éthique to understand the moral experience of bereaved fathers. Narrative Inquiry, 2016;26(1):108-129. Karsoho H, Fishman J, Wright DK, Macdonald, ME. Suffering and medicalization at the end of life: The case of physician-assisted dying. Social Science & Medicine 2016;170:188-196. Karsoho H, Fishman J, Wright DK, Macdonald ME. Constructing Physician-Assisted Dying: The politics of evidence from permissive jurisdictions in Carter v. Canada. Mortality 2016,1:1-15. Stevenson M, Achille M, Liben S, Proulx, MC, Humbert N, Petti A, Macdonald ME, Cohen SR. Understanding how bereaved parents cope with their grief in order to inform the services provided to them. Qualitative Health Research 2017; 27(5): 649-664. Spicer S, Macdonald ME, Vadeboncoeur C, Davies D, Siden H. Introducing a lexicon of terms for pediatric palliative care. Paediatrics and Child Health 2015,20(3):155-156. Wright DK, Brajtman S, Cragg B, Macdonald ME. Delirium as letting go: An ethnographic analysis of hospice care and family moral experience. Palliative Medicine 2015,29(10):959-966. Wright DK, Fishman JR, Sandham S, Karsoho H, Macdonald ME. Physicians and euthanasia: a Canadian print-media analysis of physician perspectives. CMAJ Open 2015,3(2):E134-E139. Macdonald ME, Kennedy K, Molls S, Pineda C, Mitchell LM, Stephenson PH, Cadell S. Excluding parental grief: A critical discourse analysis of bereavement accommodation in Canadian labour standards. Work: A Journal of Prevention, Assessment and Rehabilitation 2015,50(3):511-26. Carnevale FA, Campbell A, Collin-Vézina D, Macdonald ME. Interdisciplinary studies of childhood ethics: Developing a new field of inquiry. Children & Society 2015 29:511-523. Allen D, Badro V, Denyer-Willis L, Macdonald ME, Paré A, Hutchinson T, Barré T, Beauchemin R, Bocti H, Broadbent A, Cohen SR. Fragmented care and whole-person illness: Decision-making for people with chronic, end-stage kidney disease. Chronic Illness 2015,11(1):44-55. 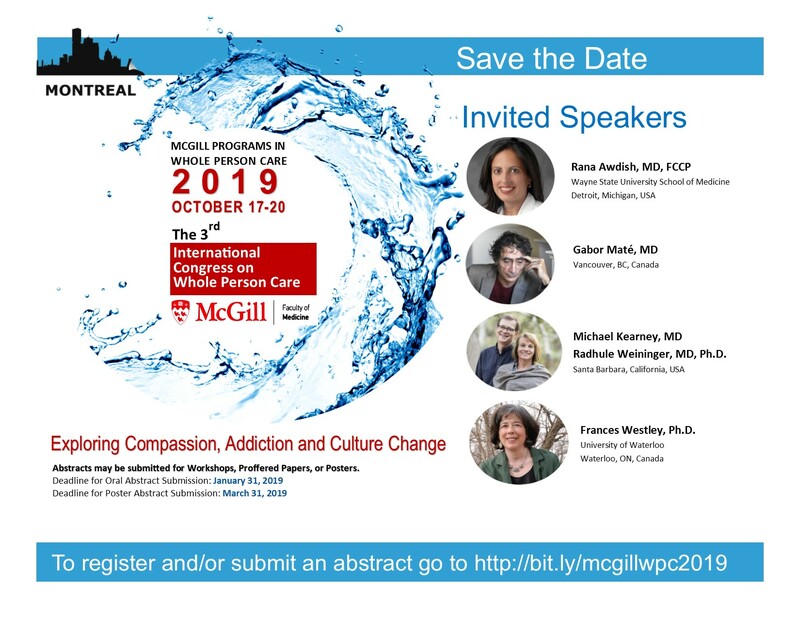 Bélanger E, Rodríguez C, Groleau D; Légaré F, Macdonald ME, Marchand R. Initiating decision-making exchanges in palliative care: An ethnographic discourse analysis. BMC Palliative Care 2014,13(1):63. Wright DK, Brajtman S, Macdonald ME. A relational ethical approach to end-of-life delirium. Journal of Pain and Symptom Management 2014,48(2):191-198.